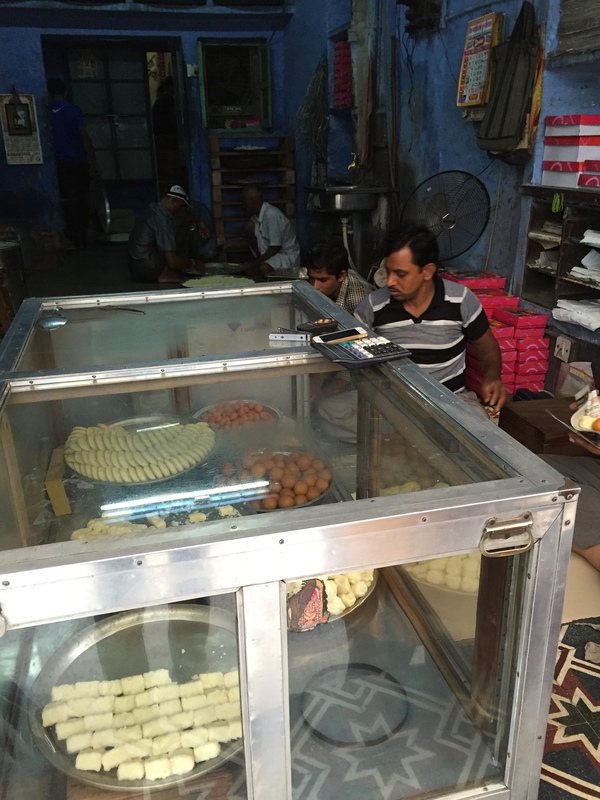 A small decades old sweet shop that is unmissable if u r in Jodhpur. We paid Rs. 190 here for all sweets we ate & got packed. No bill. 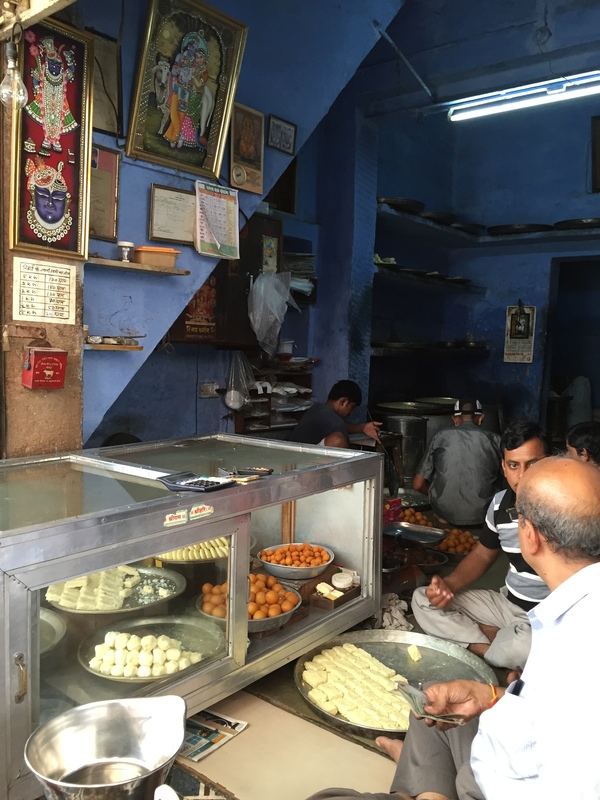 This Foodie madness post is a part of a series called Culinary pilgrimage – On a weekend in August 15 we decided to travel to Jodhpur on Culinary pilgrimage. 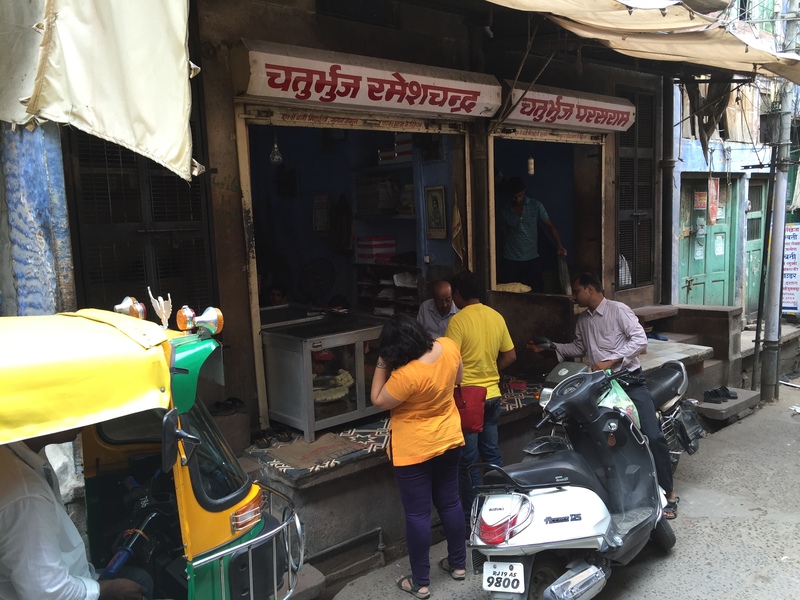 A 2 day trip to Jodhpur just to eat out at the numerous streetfood shops that have survived over time……….We ended up eating at 11 places in a span of 48 hours & spent a total of approx Rs. 1850 & then we dined at Jodhpur fort for Rs. 3000. The cost of staying at Jodhpur & travelling to Jodhpur from Delhi was, needless to say, quite a few times more. Like most old restaurants in Jodhpur, we cud not find this on google map. As I post this article today, I got the google map. That means it was mapped in google after we went a few months back or I mis-spelt while typing in google. The shop is located in narrow lanes of Jodhpur which at places is so narrow that two rickshaws cannot pass side by side. We had quite an interesting journey to this place watching how people were coolly negotiating the traffic. Having come from delhi NCR that was quite a positive culture shock. As we reached the shop we realised that it was the traditional format sweet shop with a large area at the back where ‘karigars’ were sitting on the floor and making sweets. The front area had a glass showcase of sweets and the owner was sitting next to it. A guy sitting on his side was helping him weigh the sweets and pack them. 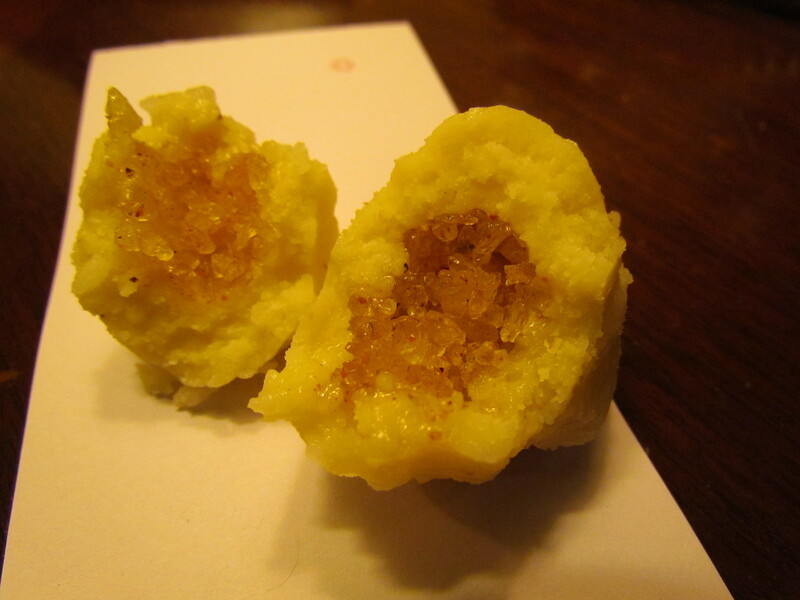 As we ordered one of different varieties of sweets, the owner looked amused. When I started clicking pictures, he cud not take it more and said ‘r u guys doing some research on sweets?’. Customers cud not enter the store. 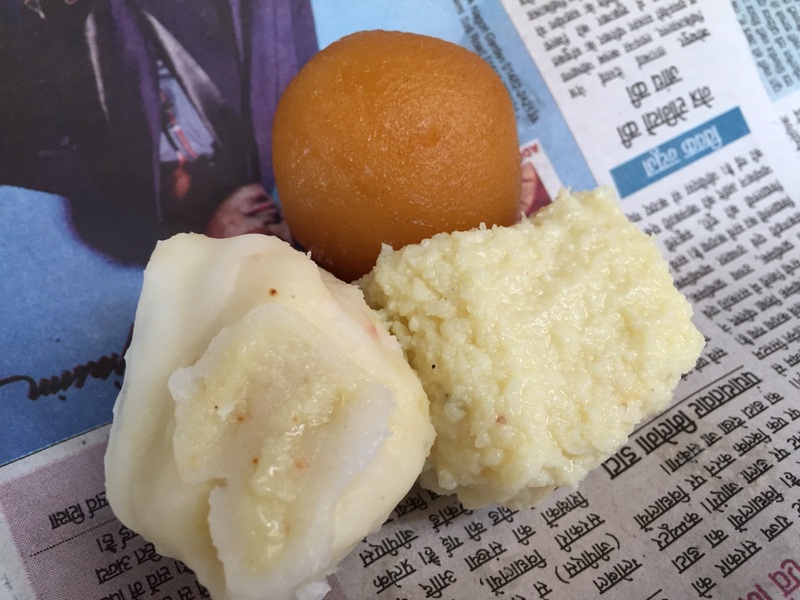 They had to Order sweets standing on the road and eat it there in case they were not taking it away. Needless to say there was no printed paper menu card. There was not ‘written on the wall’ menu as well. Sweets were too good. Worth the effort finding this place. 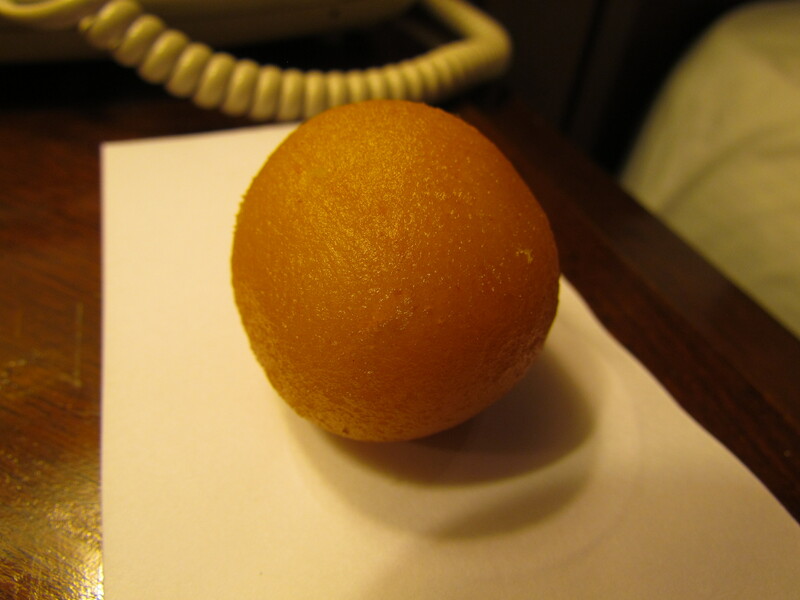 We started with Gulab jamun. It was unique. 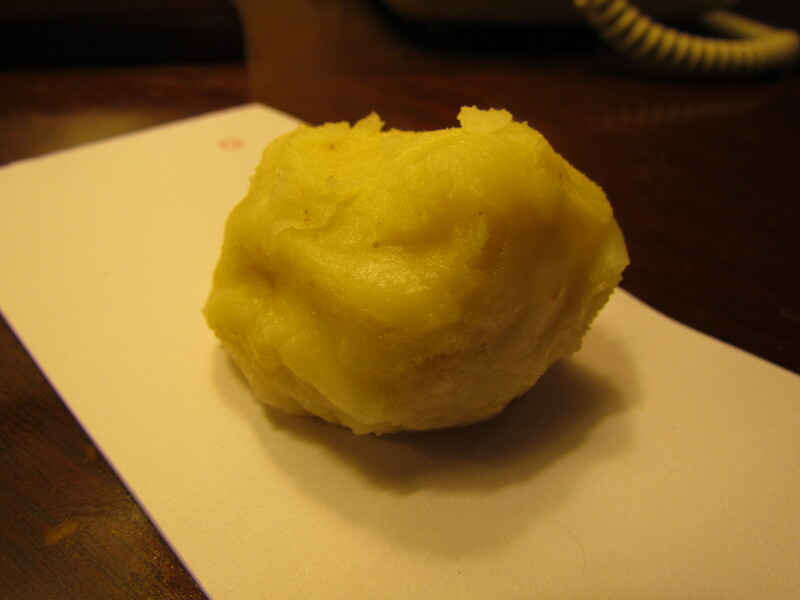 Quite dry, not dripping with Ras but moist inside. 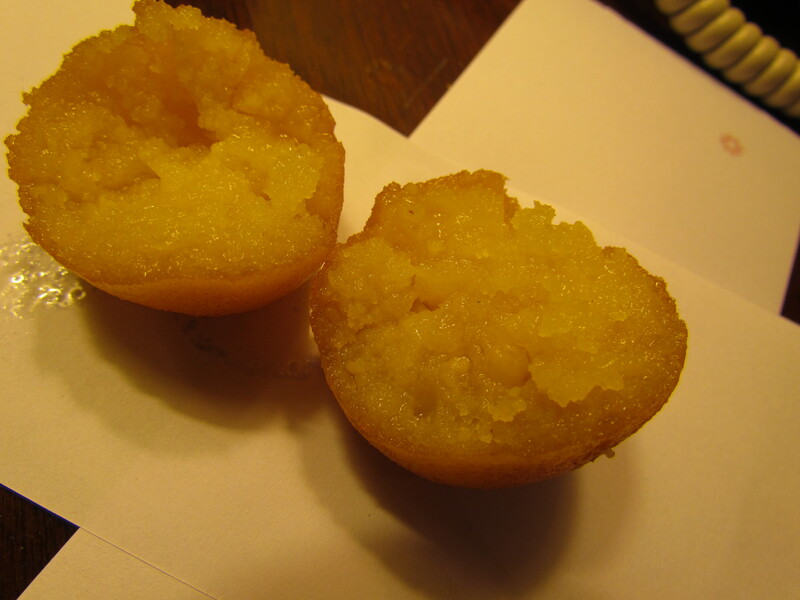 It had a pinch of salt in it that beautifully balanced the sweetness. 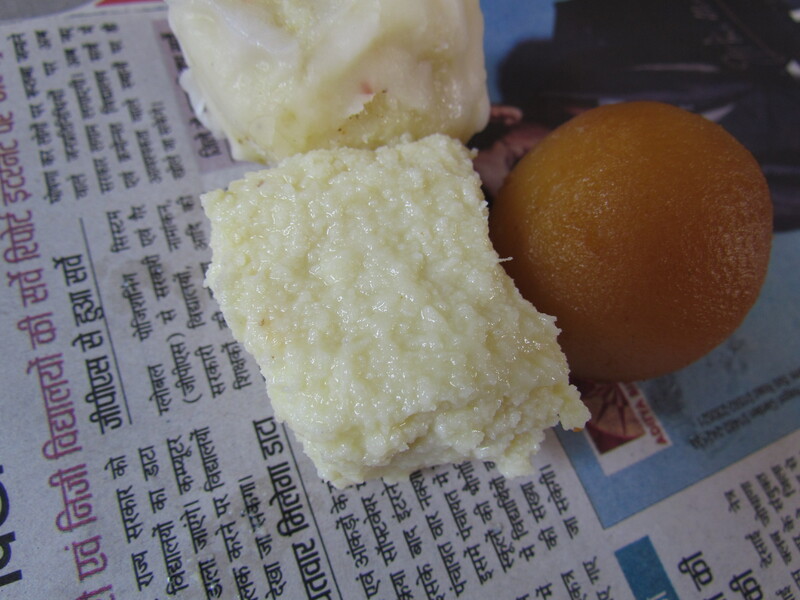 We also tried White sweet with mishri filling was a mouthful of flavour. 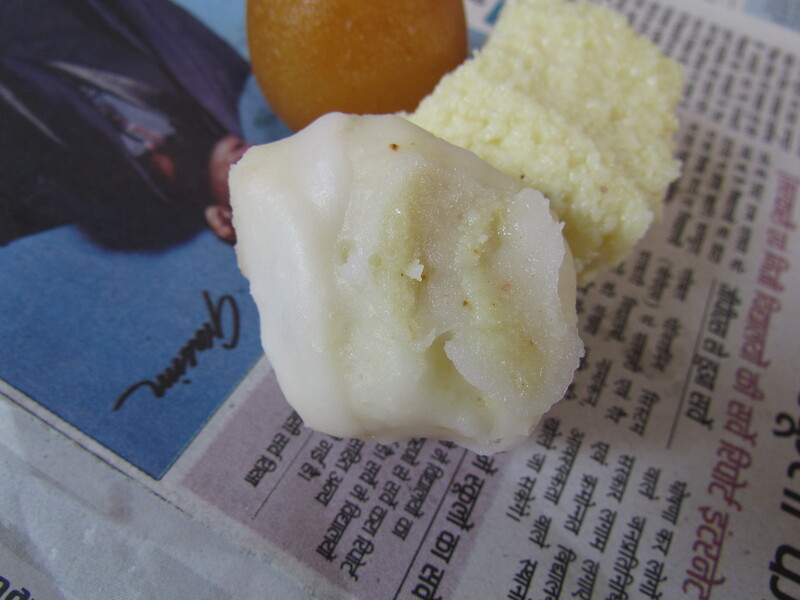 It was a reduced milk based sweet with mishri (palm candy) in the center. I bought them today, I got 20 pieces in 1 KG. Though count may vary depending on the size by 2-3 piece.